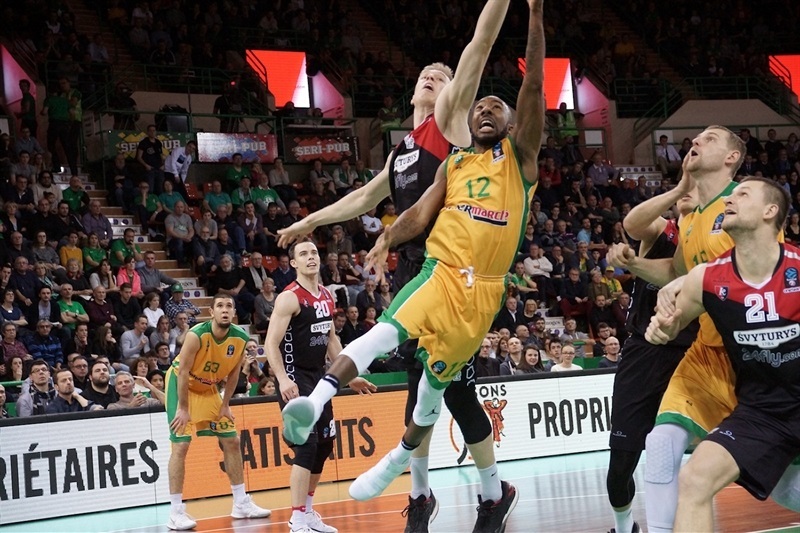 Lietuvos Rytas Vilnius locked up second place in Group C with a 69-71 road victory over Limoges CSP on Tuesday. 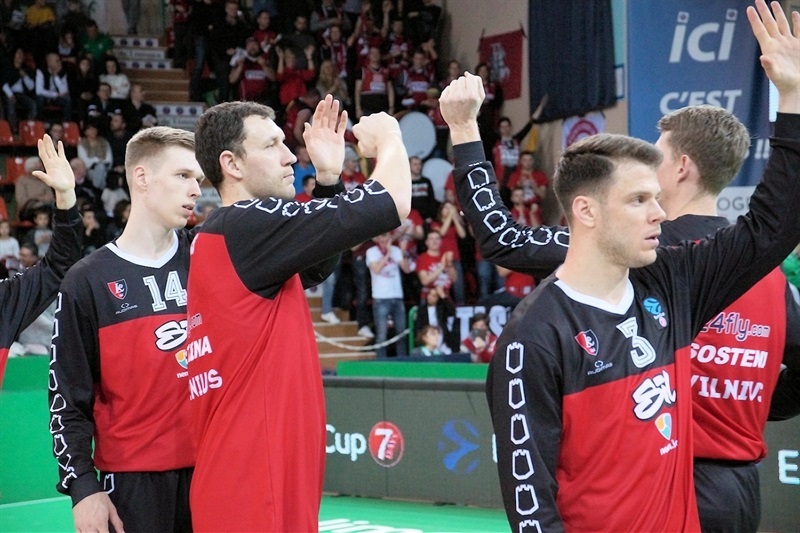 Rytas won for the fifth time in the last six games despite missing all 16 of its three-pointers - the first time the club failed to hit from long range in a EuroCup game. 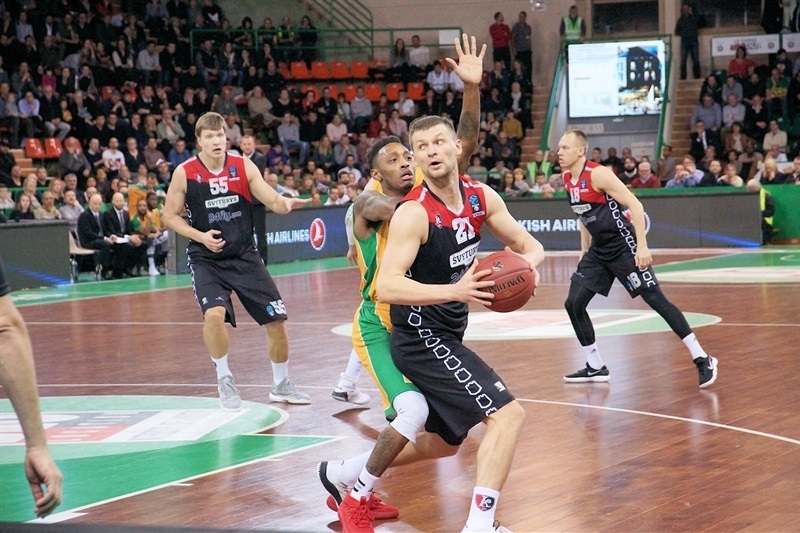 Egidijus Mockevicius led the way for Rytas with 13 points and 10 rebounds, Loukas Mavrokefalidis scored 13 points as well and Chris Kramer delivered 7 points, 6 rebounds and 9 assists. 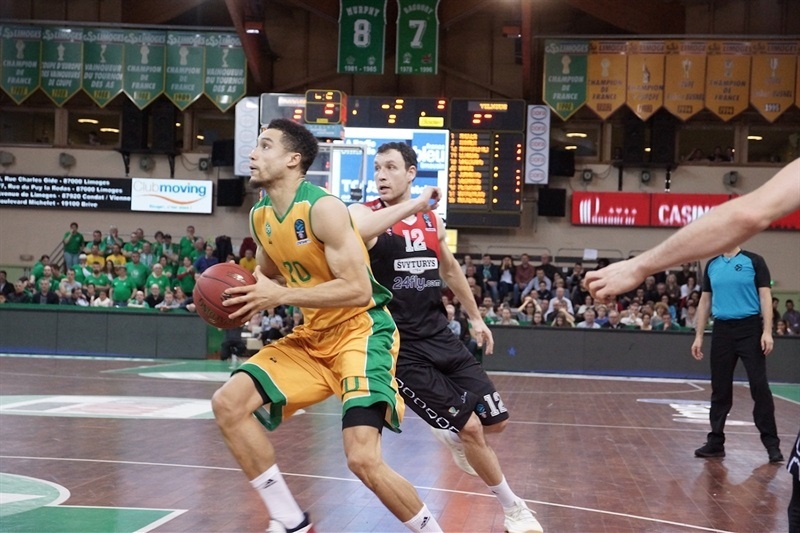 Rytas finished with a 6-4 record and sent Limoges to fourth place at 5-5. 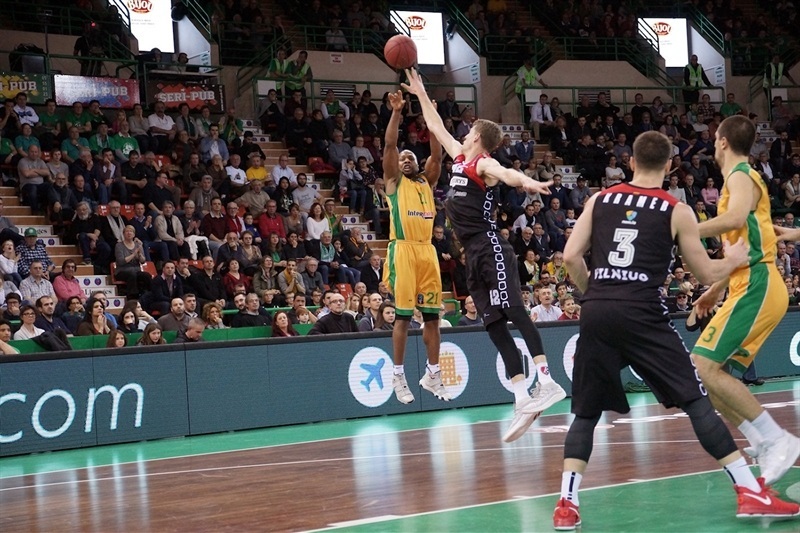 Kenny Hayes scored 14 points for the hosts and Axel Bouteille chipped in 12 points and 7 rebounds for Limoges, which saw its three-game winning streak snapped. Bouteille started the scoring with Mockevicius answering at the other end for Rytas with two baskets for a 2-6 lead. 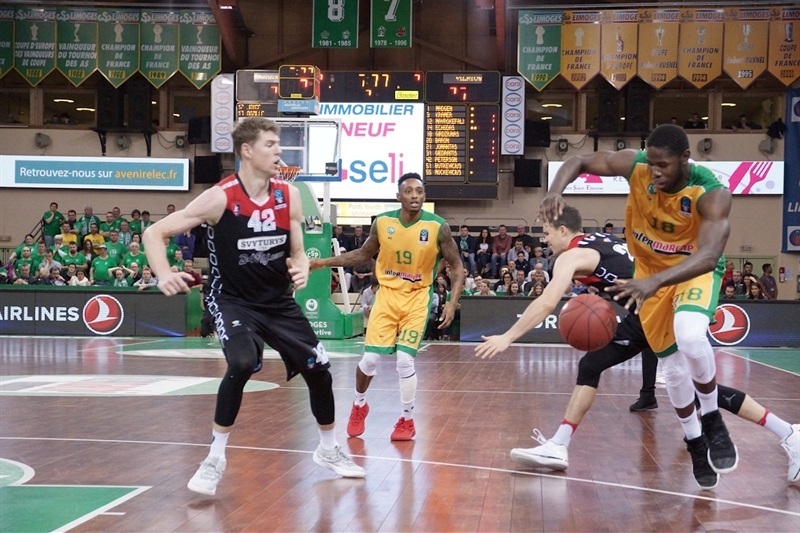 Danny Gibson hit a three-pointer in helping Limoges even the game at 10-10 only to see Rytas build up a 10-14 advantage. The guests were ice cold from long range with 5 misses in two possessions while William Howard had 5 straight points to put Limoges up 17-14. It was 17-16 after 10 minutes. Gibson knocked down a pair of jumpers in helping keep Limoges up 26-23 in the second quarter. But Rytas got some fine passing for baskets from Travis Peterson and Mavrokefalidis to take a 26-29 lead. Hayes answered at the other end with his second three-pointer and Bouteille left the game knotted 35-35 at intermission. Mockevicius continued his strong game and Peterson’s score made it 35-41. Limoges was held scoreless for the first two minutes of the second half, but got back into the game through Brian Conklin, who had 2 free throws, a three-point play and jumper and Howard added 4 points of his own in a 12-2 run to go up 49-45. Kramer’s three-point play snapped a 2:31 minute scoreless drought and then Rytas got a couple of a big minutes from Mavrokefalidis with 5 free throws in 10 seconds and a hook shot in pushing back ahead 52-58. Mam Jaiteh however had a put-back at the third-quarter buzzer that made it 55-58. 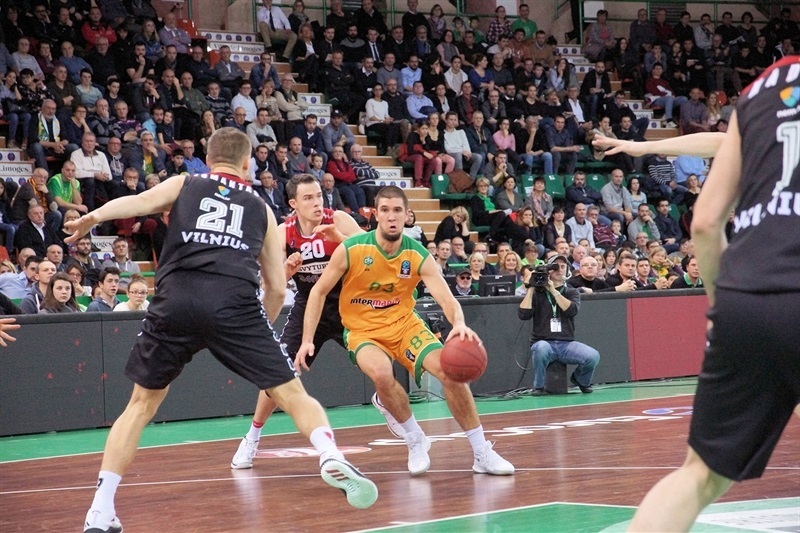 Arturas Jomantas’s three-point play made it 57-61 early in the fourth quarter and Mockevicius, Mindaugas Girdziunas and Peterson all scored to keep the gap at 4. Hayes’s free throws to pull within 65-67 were followed by a Ben Madgen score. Neither team scored for four minutes with Bouteille finally ending the drought. But Jomantas hit a layup with 11 seconds to play to put Rytas up 68-71. Gibson made one free throw with 6.1 seconds left and missed the second intentionally, but Rytas got the rebound to claim the win.